Experience the Badgerland Lawn and Landscaping difference through quality landscaping and lawn care services. Experience Milwaukee’s finest landscape construction. Experience Waukesha’s finest landscape maintenance. Experience the best Milwaukee hydro seeding company. Experience Milwaukee’s top landscaping drainage solution. Experience Milwaukee’s handpicked mulch delivery service. Experience top-notch Madison snow removal service. 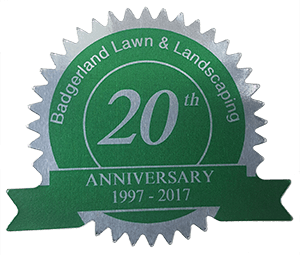 Experience these first-rate Milwaukee lawn and landscaping services and more with a Badgerland Lawn and Landscaping solution. The Badgerland difference is in the little extras, going above and beyond to bring you quality lawn and landscaping services throughout Southeastern Wisconsin. Experience the Badgerland Lawn and Landscaping difference and let us bring your landscape designs to life. Contact us today for your FREE landscape design sketch and see how a Badgerland Lawn and Landscaping solution can transform your ordinary yard into a landscape design masterpiece. Badgerland Lawn and Landscaping Waukesha, the stepping-stone to quality landscaping designs. For more information about our premium Milwaukee area lawn and landscaping services from hydro seeding to landscape management, check out our individual landscaping services pages or call us at 262-544-9404.